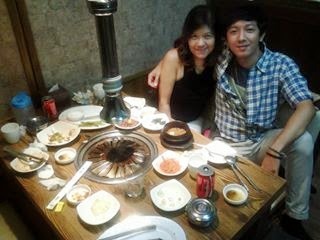 We had to go out for a dinner last week to celebrate my birthday and after seeing a movie at SM Cinema, we went to SBMA to look for a restaurant where we could have our dinner. We are actually choosing between two restaurants, one is a Chinese restaurant and the other one is a Korean restaurant. My son preferred to go to a Chinese restaurant because it's been a normal thing for him already to dine in a Korean restaurant as he had a bunch of Korean friends from school who always bring him to Korean restaurants. 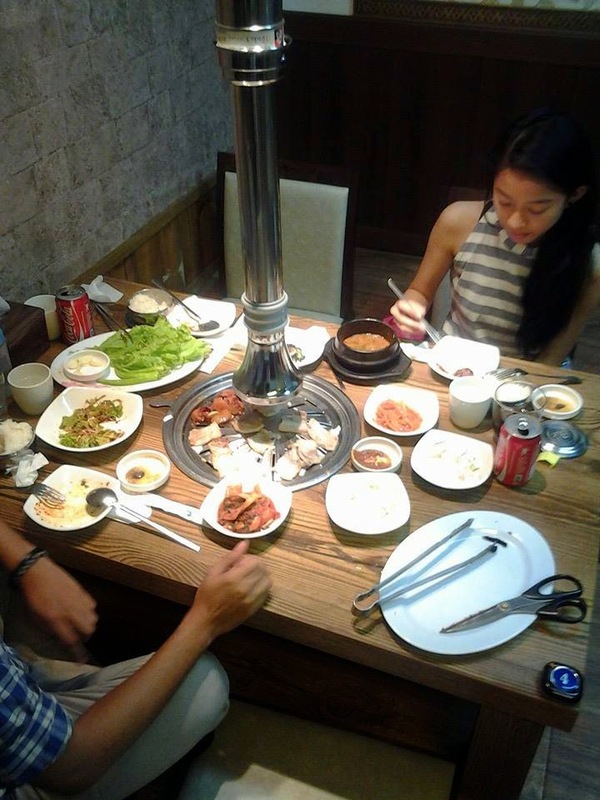 However, me and my daughter haven't tried a real Korean restaurant atmosphere yet so we've insisted to dine at the Korean resto. Since it was my birthday, my son had no other option but to oblige. So, we went to this Korean restaurant just across the Ayala harbor Point and since the name of the restaurant is written in Korean language, I couldn't mention here what's the name of that restaurant. 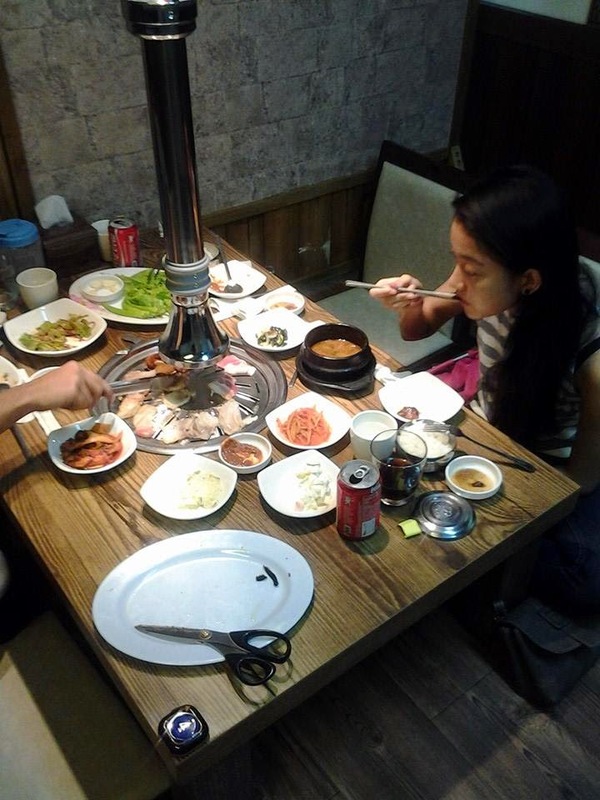 Anyway, this restaurant offers 3 areas for dine in, one is located outside, a very simple one wherein you could see the by passers, another one is a dining hall, not so huge but looks cozy and inviting and the other one is a private dining room in which everything is set up...Korean style. So obviously, we have chosen the third one as we are looking forward for a great experience. We ordered for 2 sets of meals which I think to be just enough for the three of us. They actually have photos of the dishes in the menu, so it would be easy for you to choose. I think we have chosen a plate of beef and a plate of pork with accompanying side dishes, soup and salad. Rice is to be ordered extra as well as the drinks. A cup of rice is quite expensive at Php50 per cup but I think it's fine as it is not just an ordinary rice and it's really nice and well cooked. Table and chairs were typically Korean in style and that's what we would like to have and experience. 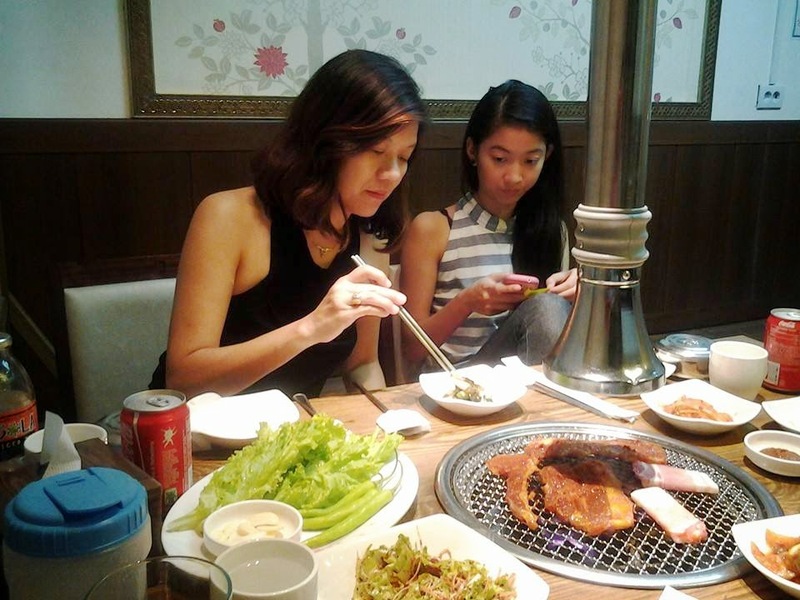 I feasted with veggies and "kimchi" as my daughter hardly eats vegetables. 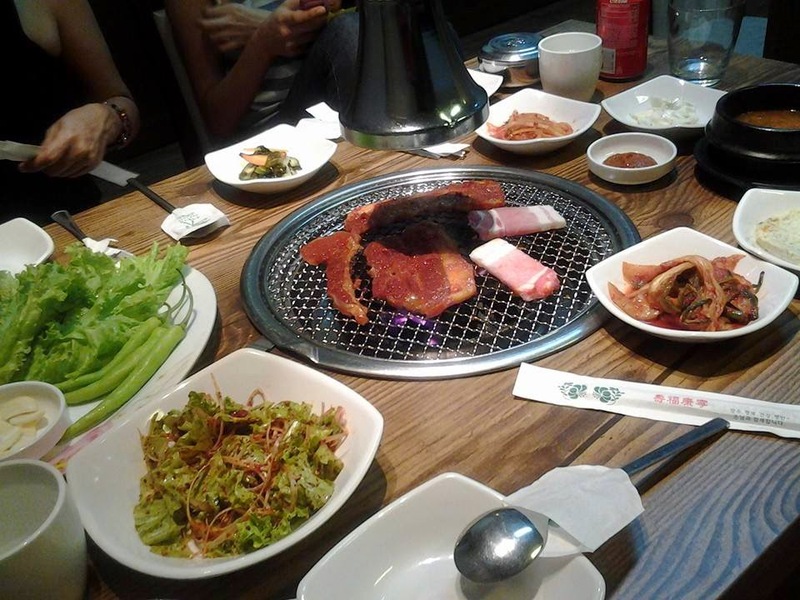 (lol) By the way, a set of meat ranges from 270 to 700 including all the side dishes, soup and salad. Rice and drinks not included. 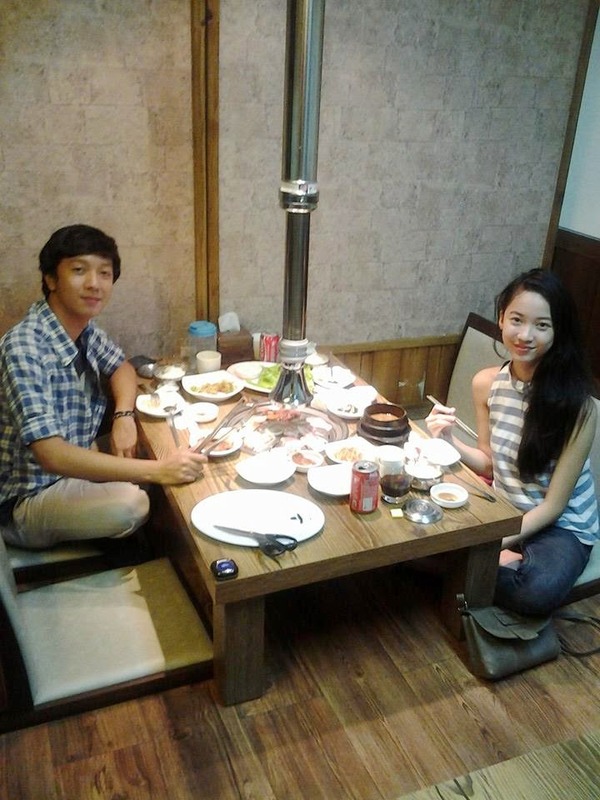 Service is good and I would not hesitate to recommend this place to those who would like to have a taste of authentic Korean dishes. It's very easy to find....just across the Ayala Harbor Point.